Foreign assistance from foreign countries near and far has helped the Tigirean People’s Liberation Front (TPLF) government of Ethiopia to stay in power unjustly for the last 25 years. Unintentional or intentional, foreign assistance provided to Ethiopia, has made it difficult for the peoples of Ethiopia to free themselves from the imposed orders of the anti-democracy and anti-human rights TPLF regime of Ethiopia.Because of the current popular uprisings in many parts of the country, the TPLF Ethiopian regime is hysterically paranoid, desperate and callous. In the same way the regime has been protecting its power by force and by begging for foreign support. Now the regime is attempting to enlist the help of neighboring and distant states to save itself from collapsing or to prolong its life. The TPLF regime is using its experience of begging for food handouts also plan to stay in power by soliciting foreign assistance in order to weaken domestic protests, armed and unarmed oppositions. By responding to the sinister invitation from the Ethiopian regime, the Kenyan government has agreed to provide military support and has ordered a joint military operation against the Oromo Liberation Army of Southern Zone.Holding Kenya and the sovereignty of Kenya in contempt, the TPLF regime of Ethiopia has crossed borders into Kenya several times and has been inflicting massive damage on Kenyan citizens under the pretext of searching for OLF/OLA. The crimes Ethiopia’s TPLF army is committing in Kenya include, massacre of the Turkana people, abduction and refoulement of Oromo refugees by interfering and infiltrating Kenyan policy and security operatives. Some Kenyan police fulfilled the wishes of Ethiopian government by letting it avoid responsibility for engaging in wanton criminal activities. The fact that the Kenyan government is entering into alliance once again with the Ethiopian regime by ignoring Ethiopia recurrent attacks against Kenyan civilians will make Kenyan people lose their respect and trust for their own government, which is continuously being treated as a puppet for Ethiopia dictatorship. Fulfilling the interests of the Ethiopian government at the expense of Kenyan interest amounts to complicity in the crimes against humanity being committed by TPLF regime inside Ethiopia and in Kenya’s own territory. By enlisting the assistance of the Kenyan government, the TPLF regime and the Kenyan government have finalized plans to launch a campaign of attacks against the OLA operating in the south. It has been known that Kenya is planning to participate in this anti-OLA campaign by mobilizing its Special Forces unit GSU (General Service Unit), and its infantry (Kenyan Defense Force) and specially KA1 to take action in Moyale area across the border. There is no doubt that Kenyans citizens opposing the action of Ethiopia totalitarian regime and Oromo refugees are going to be the groups that are going to be the most hurt by Kenya’s blind support for TPLF. This military action by the two forces is not new. Despite the search and joint operation conducted by Kenyan army and Ethiopia regime military repeatedly before, it has been impossible to stop OLF activities in the south. And it is meaningless if it is thought to reverse the ongoing Oromia wide struggle to uproot the TPLF brutal regime once for all. Like many failed joint past campaigns, there is no doubt that this campaign is also going to fail again. We believe that it’s clear to everyone at this juncture that as long as the Oromo questions ofbilisummaa (freedom) are not answered, the Oromo liberation struggle will not be contained. The OLF strongly condemns military, security and other forms of assistance the Kenyan government provides to Ethiopia’s tyrannical regime. Because these acts target freedom fighters struggling for the just cause of their people and because it will contribute to depriving the Oromo of freedom and to perpetuating dictatorship and slavery for the majority, the OLF again strongly asks the Kenyan government to stop providing assistance to the Ethiopian regime. Kenya should not be fighting a proxy war in which it has no stakes just to prolong the life of a dictatorial regime of Ethiopia. Kenya’s government’s participation in wars planned by Ethiopia has no use except expanding the conflict into a regional conflict. 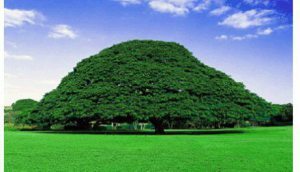 It is possible to learn from the long history of the Oromo people that the Oromo have practiced peaceful relations, respect, love and mutual co-existence with neighboring peoples. Violating this long history/code of brotherhood/ good neighborliness, the role of the Kenyan government should not be one of being a proxy war monger on behalf of the TPLF regime that is staggering to collapse because of concerted and unstoppable popular movements at home. The OLF would like to remind Kenya that it will be responsible for perpetuating dictatorship and injustice and slavery against the Oromo people in Oromia and Ethiopia if it proceeds with this an unwelcome alliance and proxy effort with the fragile military regime of Ethiopia. Kenya will be responsible for all the damages this unholy alliance will inflict on the Oromo people and the Oromo national liberation struggle. Kenya should not interfere in the domestic political affairs of Ethiopia by picking Ethiopia’s regime’s side against the will of the Kenyan people who would want a respected and sovereign Kenya. We call on the Kenyan people to confront and protest repeated unjust and illegal actions by their government, which will negatively impact the relationships between the peoples of Kenya and the Oromo people and others fighting for freedom from military dictatorship in Ethiopia. Kenyan people have the obligation to hold the Kenyan government accountable; they have the responsibility to object to continued Kenyan interference in the domestic affairs of its neighboring country. This actions will harm Kenyan people, Kenyan history and the relationship of Kenyans with their neighbors. Beyond silently watching the Ethiopian government shed the bloods of the peoples of the Horn of Africa who struggle for their freedom every day, if the Horn of African countries silently watch the military support Kenya gives to Ethiopia regime, history will judge these governments. We appeal to regional governments to stop the Kenyan government for acting as a proxy warrior for Ethiopia in a conflict that does not concern Kenya and its peoples altogether.